Eat your spirulina greens for good health! 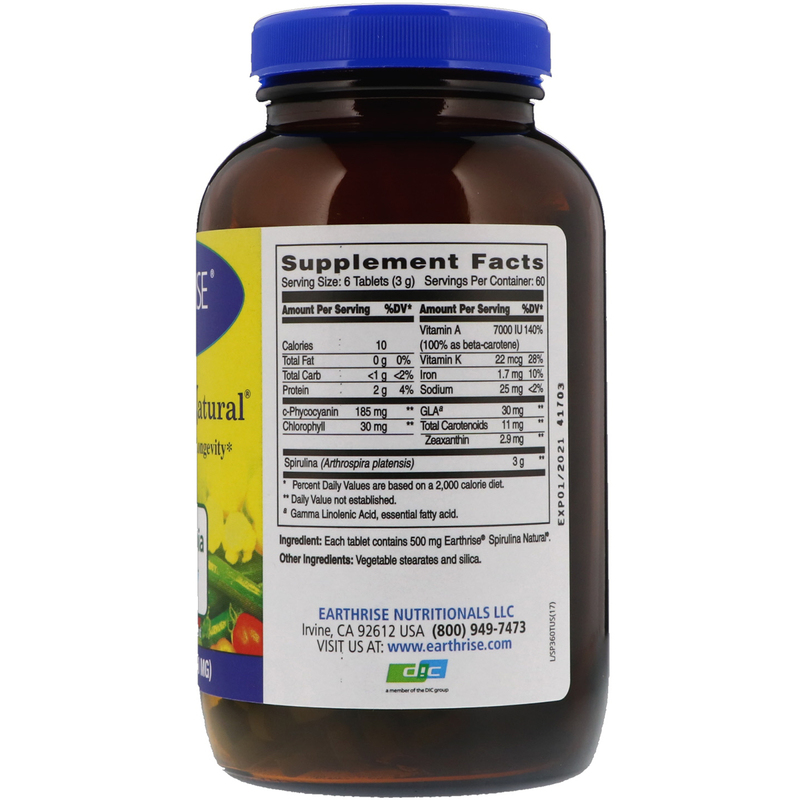 One serving of Earthrise Spirulina Natural is equivalent to 3-4 servings of common fruit and vegetables in terms of antioxidant content (beta-carotene). 6 tablets a day (1 serving). If you are on a medication or have a medical condition, consult a physician. 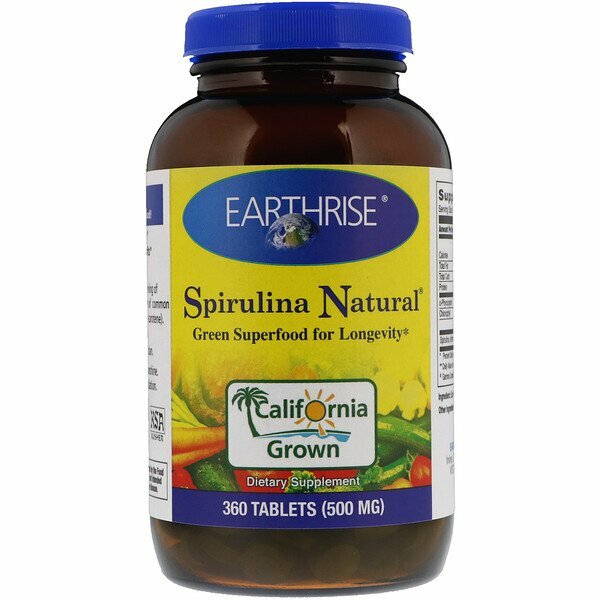 Each tablet contain 500 mg earthrise spirulina natural. 100% vegetarian: ecologically cultivated in California sunshine. Non-GMO. Free of gluten, herbicides, pesticides and irradiation. a Gamma Linolenic Acid, essential fatty acid.